Once a year, on All Souls' Day, it is said in Ireland that the dead may return. 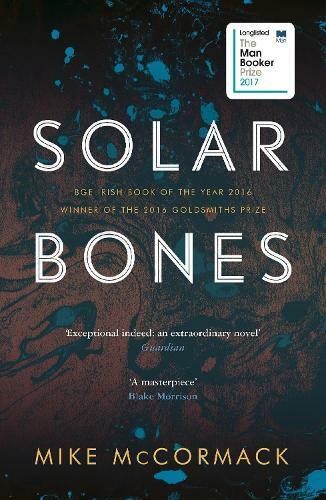 Solar Bones is the story of one such visit. Marcus Conway, a middle-aged engineer, turns up one afternoon at his kitchen table and considers the events that took him away and then brought him home again. Funny and strange, McCormack’s ambitious and other-worldly novel plays with form and defies convention. This profound new work is by one of Ireland’s most important contemporary novelists. A beautiful and haunting elegy, this story of order and chaos, love and loss captures how minor decisions ripple into waves and test our integrity every day.